It's that time again, dear readers, for the North American Nintendo Download Update details. This week we have a lot of varied offerings on the Switch eShop, while the 3DS and Wii U also have some new options to consider. Let's get to it. 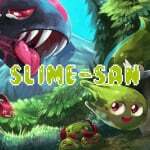 Slime-san (Fabraz, $11.99USD) - A stylish and potentially challenging platformer, with scope for customisation and switching up gameplay. Noteworthy features include unlockable multiplayer mini-games, a whole lot of single player levels, online leaderboards and additional modes. We'll bring you a review soon. 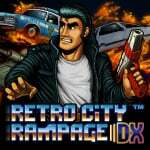 Retro City Rampage DX (Vblank Entertainment, $14.99USD) - A title that arrived in its original form on WiiWare and then in this DX iteration on 3DS, we now have the latest version for Switch. It's the same excellent game many know, with the option to play the original or DX campaign and also try out various graphical styles and filters. We'll see whether this is the ultimate rampage in a review. Infinite Minigolf (Zen Studios, $14.99USD) - This actually arrive a little under a week ago, but is included in this week's listing due to its initial delay. It offers plenty of solo and multiplayer content through dev-made stages and access to cross-platform content, with the level editor being a core feature. Our review will be with you over the course of the weekend. 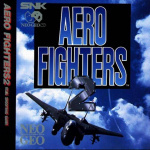 Aero Fighters 2 (HAMSTER, $7.99USD) - The steady roll-out of ACA Neo Geo titles continues. While this shmup contains plenty of outlandish bosses and enemies, all of the player-controlled planes are based on real-life jets, such as the F-14 Tomcat, F-15 Strike Eagle and Northrop YF-23. 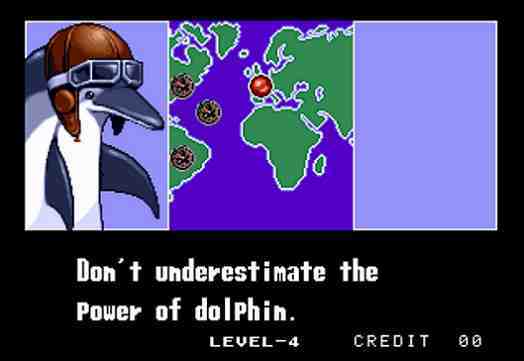 The pilots are totally bonkers, though - one of them is a dolphin. Strikers 1945 (Zerodiv, $7.99USD) - A surprise re-release of an arcade game, this is a vertically-scrolling shooter from 1995 which features classic WW2 planes facing off against a host of enemies - including transforming battle engines. Gunbarich (Zerodiv, $7.99USD) - Another former Psikyo arcade, this was a more recent release originally launched in 2001. It mixes puzzle and shooting elements. 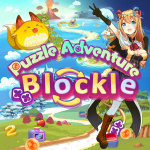 Puzzle Adventure Blockle (INTENSE, $7.99USD) - A colourful puzzle game in which you rotate stages to clear challenges across seven worlds. It's aesthetic is certainly bright, and it cites accessibility as a key selling point; we'll give it a spin for a review. 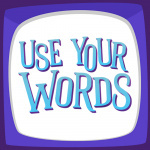 Use Your Words (Smiling Buddha Games, $14.99 / $16.99CAD) - This is a collection of four adult-centric minigames (though there is a 'family filter') that, rather like The Jackbox Party Pack 3, utilises phones and tablets as controllers. It's all about multiplayer and others can apparently stream and watch games in action, so the idea sounds promising; we'll see whether the execution delivers. VoxelMaker (Nostatic Software, $4.99USD) - A 3D art studio that's centred around creating models and environments with 3D blocks, which can then be rendered with realistic lighting and shadows. Previously released on Wii U, this offers a good toolset and earned a recommendation in our VoxelMaker review, with the 3DS version have the added bonus of utilising the autostereoscopic screen. Flight of Light (Crystalline Green, $8.00USD) - From a developer with multiple Wii U projects in their background, this is a rhythm music game with nine worlds to tackle, co-op and competitive multiplayer modes amd a soundtrack of unique music. Plenty of choices in this week's update - let us know what you'll be downloading in the poll and comments below. I might pick up I Am Setsuna when it's marked down, I dunno. 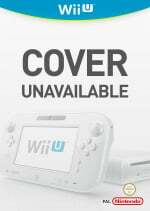 The Switch desperately needs the Virtual Console already. Oh a discount on I am Setsuna! I have been trying to import it from Japan for a reasonable price to have the physical. Maybe I will just get with the times, and go digital. It is the 90's after all. I was planning to buy Retro City Rampage along with Aero Fighters 2 but the surprise announcement of those Psikyo games means RCR will need to wait. I'm seriously considering turning my TV on it's side. Will it damage my TV? Slime-san looks interesting. I'll wait for the NL review. I would get more games if I wasn't saving up for some big ones later this year. I've already put about 700/800$ on just the Switch and games/accessories in 5 months alone. By the time the years out that will be over 1000$ and that's just insane to think about. That said, am pretty tempted by I am Setsuna. Last time I took a pop on a similar rpg on sale was Child of Light on Wii U and really enjoyed it! Don't forget Shovel Knight character DLC for Blaster Master Zero. I'm also going to get I am Setsuna while it's on sale. WOW...what a great week for me. Strikers 1945 was the biggest surprise for me. I've said it before, but the Switch is now my preferred arcade platform. I'm stoked! Retro City Rampage DX should be good. Weirdly enough, the game that has my attention this week is Slime-San (along the Shovel Knight DLC in Blaster Master Zero). I know that at this point, they're overdone, but I just cannot resist to a good retro-platforming game, and this one seems to have good reviews on Steam. It's not just a dolphin; it's a dolphin named Spanky! I love how they are still releasing new games for the 3DS, but I guess we can assume now that their eshop is pretty much dead to any new indy games. Always wanted Retro Rampage for Wii U... guess a Switch will have to do. Also, $40 normally for Setsuna? That correct? I was not expecting Gunbarich and Strikers 1945 to come to the NA and EU eShop. @eltomo Yes, I Am Setsuna is normally $40 on the eshop. Interested in: Slime-san, Aero Fighters 2, Strikers 1945, Gunbarich, and Puzzle Adventure Blockle! First week where I've wanted almost everything on offer! Also, that's a really good discount on I Am Setsuna. August is a surprisingly strong month for the Switch. Slime-San looks pretty fun. I'm going to wait for the review since my impulse buy limit is 9.99. But if it's like super meat boy/N+ but with bosses and more control variations I'm sold. @JamesCoote you developed flight of light? I am very happy I waited to buy I am Setsuna until today. I kept telling myself to hold off. Very fun game and if I hadn't played it already, then I'd surely be picking this up. Can't wait for Shakedown Hawaii. Shmup with planes? ACA NEOGEO release? Don't even care about the rest. Me and my shmup friend gonna run it. ...aaand that may just get downloaded too. About $26 with the discount? Not bad... I'm still playing stuff though, but maybe if there's a bigger discount down the line, I'll check back then (and check on my backlog). Give us Divinity Original Sin! So many great titles this week... so little cash. And I'm on a budget (that I already broke last month with Spla2n). Retro City Rampage DX is a sure buy. I'll look into some of the other ones. Been a surprisingly strong year for the Switch so far. By the end of December I'll have bought more physical and digital games than I did for either PS4 or Xbox One during the first year of those consoles. I'd buy I am Setsune but I already have a bit of a backlog and there are so many games coming out I plan on picking up and more hyped for. If I were to buy it this week, I probably wouldn't get around to playing it until when I go home for Christmas break or after... I'll probably hold off because I don't want to buy it and risk never playing it. I've impulse purchased a few games before that I never ended up playing and it's an awful feeling. @Davidiam007 Yes I did! In the sense of I did all the coding, level deisgn and some art, then outsourced the rest of the art. I ran a kickstarter last year for the game, funds from which paid 4 different musicians to write a couple of songs each for the soundtrack. Aero Fighters 2 and either Setsune with that discount or Slime-San. This'll be Neo Geo game #7 for me and I'm a sucker for getting to play a coop shmup with F-14s and with my son. TWO classic shooter in one week? I may go through bullet hell but it sounds like heaven! Weird that Slime-san is surveyed so low - thought that and Retro City Rampage would be the must-buys for the Switch this week. If anyone who has a Japanese account is interested in Strikers 1945 or Ganbarich, they're only 500 Yen for a limited time. Slight burn there as Japan is the only eShop that gets the discount. Luckily I had the Yen leftover from the launch NEOGEO titles. -no screen resolution or scaling adjustment. It's been smooth scrolling so far, though, with no artifacts that I could tell. This is very minor, but that makes the game more of a straight-up port. Another interesting thing I just found out you get extra points when you collect the gold bars on the ground when the shine is completely white, just like Gunbird! But man, I really need that Hori RAP arcade stick like yesterday! Also getting Retro City Rampage, Aero Fighters 2, Ganbarich (I'll need to buy another digital Japanese eShop card), and maybe I am Setsuna before the sale is over. And now it's time to let go of my Strikers 1945 for PS1 (it's going for an ok amount on ebay, lol). Where is Stardew Valley already? Nintendo promoted so many solid indie games before launch and few have arrived so far. Why, Nintendo? Why??? Been waiting for AERO FIGHTERS in some form and SAMURAI SHOWDOWN 2. Will be picking up AERO FIGHTERS as it was my favorite NEO-GEO shmup back I. The day. I would get I am Setsuna, but I still don't have a Switch. Is there a way I can buy it at its sale price and when I finally do get a Switch it will automatically start downloading? 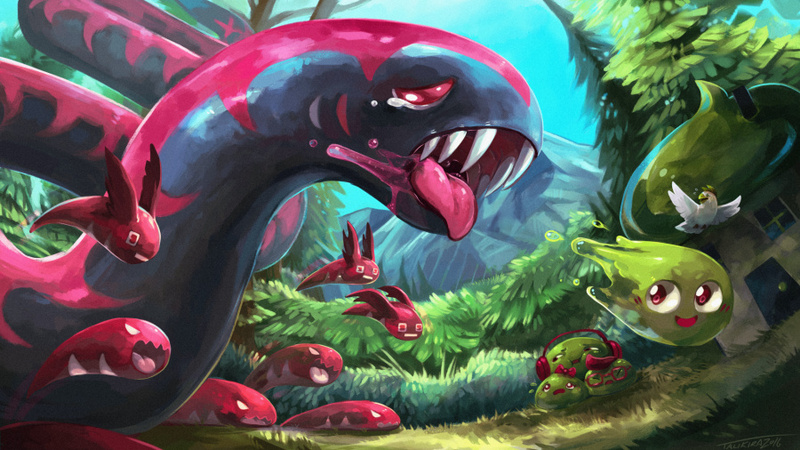 Slime-San is the only thing catching my eye this week, but I'll wait for reviews before biting. Also the discount on I Am Setsuna is nice, but if I do get the game I'll just import the Japanese physical. I am Setsuna for $26? Is my math right? All things being equal I'd rather have a physical copy but with this discount I think I might be downloading it this weekend. Sweet! Quick question while we are all here; does anyone else have issues with the HD rumble in Blaster Master 0? I was playing it in handheld mode with the sound off in bed. When i got hit the buzz of the right joy con was so loud it woke my wife up! Doesn't seem right to me. Not sure if it's supposed to be like that or broken. Don't want to buy 1 2 Switch just to test the rumble. Any advice would be great! Once the discount hits the store I will most likely pick up "I Am Setsuna". I will be picking up "Strikers 1945" and "User Your Words" this week. Next week I will be getting "Iron Cast" and later this month I will be getting "Mario Rabbids". Next month a slew of games too. This list will put me at 21 games, 4 joy cons, 2 pro controllers, and 2 docks. Now I understand why I'm going for broke. Slime-San for me, although I'll be busy with Splatoon 2 for a long time to come. I might pick up Ironcast next week, depending on whether the price reasonably allows for double-dipping, but other than that, I guess it's just MarioXcomRabbids for me this month. Getting Aerofighters 2, but Strikers 1945 looks very tempting. Darn budget. Have buyer's remorse about getting I am Setsuna for full price on launch day, but oh well. It's an okay game second half is way harder than the first, just not a $40 game. NOW THATS WHAT I'M TALKING ABOUT!! Great week for the Switch!! Aero Fighters, 1945 and Gunnarich for me!! The 2 Psikyo shooters are a fabulous surprise!!! Will help ease the pain of no VC games yet! Keep those surprises coming!!! I'm all about supporting Brentalfloss! @Ralek85 - Not new to games. I play way too much. I would buy any game I've played in the past that I loved if it gets a release on the Switch. I also have 4 kids which appreciate all the new games to play as well. @Ralek85 Well if he's including eshop games as well it's very easy to get to that amount. I think I have almost 20 between eshop and retail. Been playing games my whole life and none of those are double dipping haha. @Ralek85 @Joker13z, I haven't double dipped. All eShop purchases. My profile shows the current games owned (15). I see 5 more purchases coming this month. I was wrong about 16. Happy gaming! A few games look interesting but I need reviews. For anyone on the fence for Setsuna, I recommend it for that price, who knows when it will go on sale and it's definitely worth $26... as long as you like ATB systems, that was my only gripe. @JamesCoote it looks interesting, I need some more rhythm games, I'd just like to see a review here first. Of course 3 weeks after i buy I am Setsuna since I got it for a trip and didn't even play it much then it goes on sale! @Landlord Awesome! I always love to see people enjoying the Switch as much as I am. So many Switch eShop games coming out now every week, they really need to overhaul the eShop itself and how it is organized. Nadda alotta nothing for me. Maybe ill buy a VC game from the The WiiU or Wii shop this weekend. @Fooligan Possibly. What you're asking can be done with systems connected to your account--you can buy games via the website, and then they will download automatically the next time the system is online. I'm just not sure if the same is true when there isn't a system registered. I wouldn't expect a problem, but that's because I'd be gambling your money and not mine. @JamesCoote sweet! I will check it out! Gunbarich is great. All of these shooters are. Got Slime-san; loving Slime-san. It's a whole lot like Super Meat Boy with enough quirks and style to make it its own thing (slowing time, objects you can phase through only while slowing time, double jumps after wall jumping, etc.). If you're interested and like relatively challenging 2d pixel art platformers, it looks like (for the asking price, certain ly) this one's tough to top! @PanurgeJr Thanks for replying and helping. According to Nintendo's website, I need the console and It needs to be connected to the internet. It does sound like something that should be possible to do though, but $26 plus tax is a bit much to be gambling with. I think I will try this out later when I actually have a Switch in hand that's not connected to the internet yet, but with a cheaper game. I'm surprised no one has tried this yet and if someone has I haven't seen anything saying whether it works or not. I'm thinking of getting retro city rampage for my new 2ds. Swap Fire (Wii U) is on sale for 0.99 cents. This is a fun interesting twist on the shooter genre. If you didn't get this game when it was free a couple months ago this is a good time to get it. Thinking of picking up Setsuna, but Hellblade may take priority as far as digital purchases go. I'm just glad the NS finally got an eShop discount. More of this please. Nintendo must be thinking everyone and his grandpappy wants the Pokemon gold and silver VC and could care less about any other selections on VC. I counted at least 20 nes titles WiiU has that 3ds doesn't and while duck hunt may not work on 3ds bayou Billy doesn't require the zapper to play. Honestly when I bought used nes and Gameboy games I popped it in see if it would play and tried it for 10 minutes to see if it worked or was faulty. The difference now is of here is a problem they can patch it later. This drought of VC offerings is horrendous. They could have put much more effort into them and we could have had snes VC on the original models. When a new movie cane out like batman or power rangers they could have made a deal to acquire them for a limited time as a promotion. Honestly they have no excuse for this. And now they are being tight lipped about the switch VC service. Honestly the whole thing is putting me off! Will be picking up Aero Fighters 2, Strikers 1945, Gunbarich, and I am Setsuna. (Can't let that get away at that price!) Although, it will have to wait til I'm done with Golden Sun the Lost Age. (Decided to finally play thru that after all these years). Gunbarich seems like a Breakout clone, with Magical elements (witch-like). Good graphics, powerups, etc. Great Stuff! Really need folders now though! I want the I Am Setsuna but I'm so mad at Square right now for not bringing Dragon Quest X to Wii, Wii-U and or Switch. Then not Bringing a Physical copy of I am Setsuna to North America. I wonder if Square will release any physical games on Switch in North America. I would love to support but I'm just so damn mad at them! @Nolan420 Yeah it's not worth it. I really regret buying it. The game plays well (in theory) and looks great, but the "story" disrupts the gameplay every 5 minutes. The flow of the game is annoyingly stop and go.